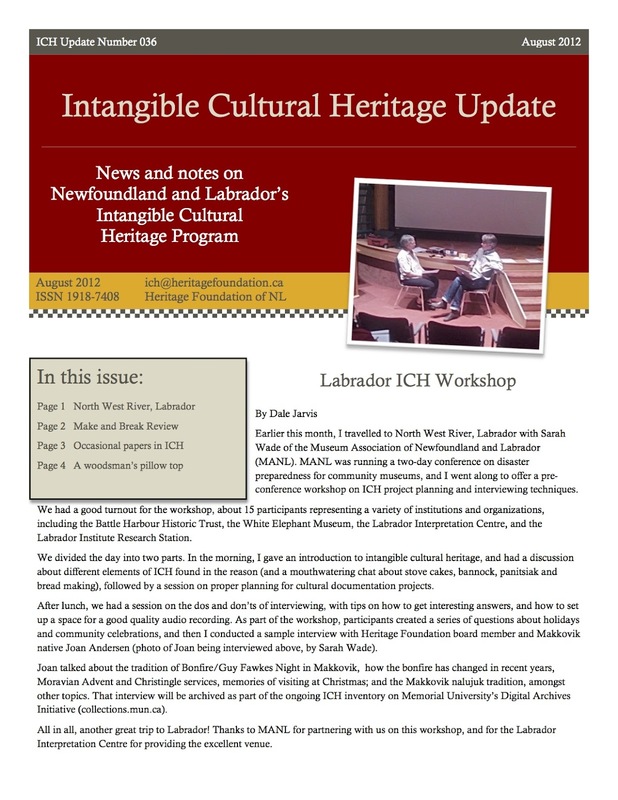 In this month's edition of the Intangible Cultural Heritage Update for Newfoundland and Labrador, we present a review of the ICH workshop held in North West River, Labrador; our summer intern Joelle Carey reviews the Make and Break Festival in Bonavista; we introduce our occasional papers publication series; and Nicole Penney discusses the sewing of pillow tops by men working in the lumber woods, and how it served as a means of group socialization. Download the update in PDF format. 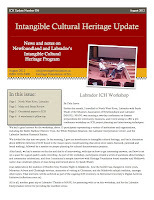 The occasional papers in ICH referenced in the newsletter can be downloaded from www.mun.ca/ich/resources. Contributors: Dale Jarvis, Joelle Carey, Nicole Penney.